We had a leftover whole cooked BBQ chicken which still had half the breast meat, one leg and one wing left to eat. 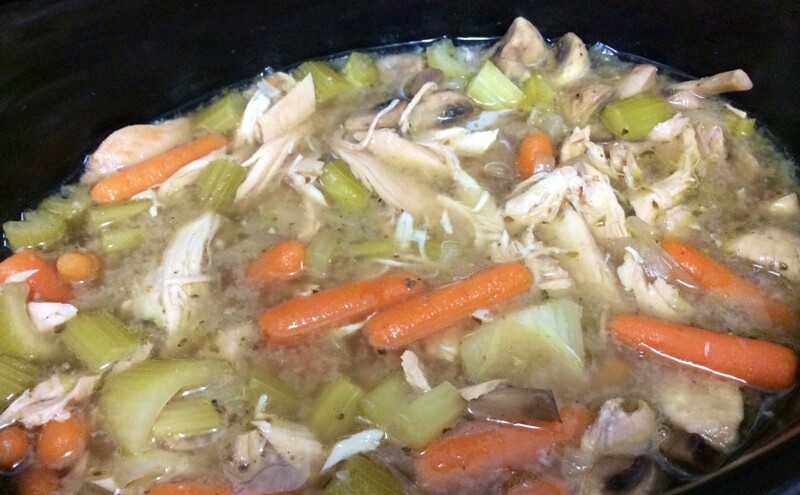 We could have had it cold with some potato salad or popped it in a sandwich but I decided to make an easy slow cooker meal combining all the leftover chicken and some vegetables. 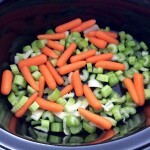 Soup is so easy to make in the slow cooker. 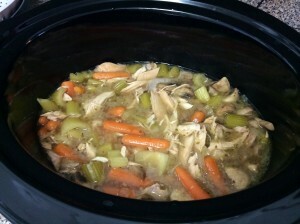 Chicken – (any leftover cooked chicken) Remove all the chicken from the bone and discard any skin and bones. Set aside whilst you prepare the veggies. 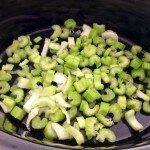 Add the onions to a pan and lightly cook in a small amount of olive oil until soft. 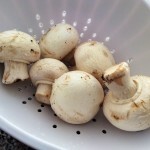 Add the mushrooms, stir and cover for a few minutes on a medium heat.